If I've been a little light on the posts the last few days, I apologize. 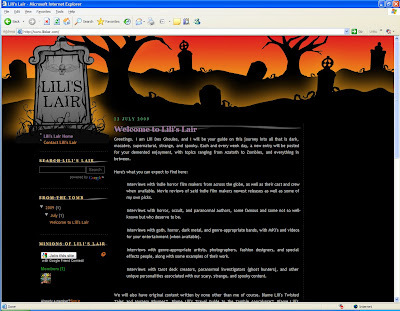 I've been extremely busy working with my fiancee to get our new Web site launched; Lili's Lair went live a few minutes ago. If you're interested in horror-genre entertainment (movies, bands, authors, artists, etc.) you should check it out. 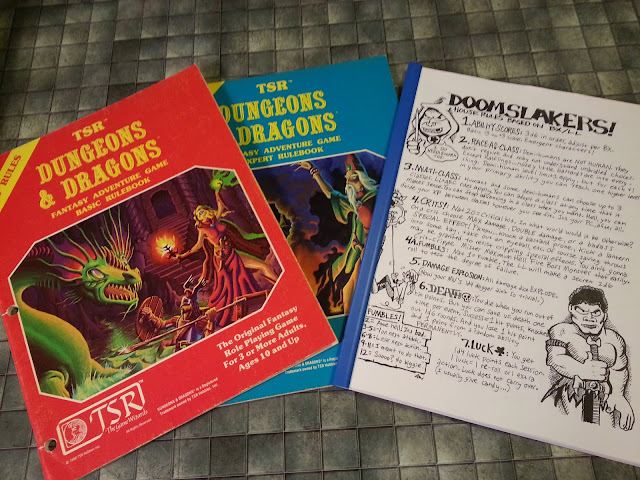 There's only an intro there at the moment, but we have several weeks worth of daily posts all ready to be rolled out - and freebies ready to be given away. Check out the intro post for details. It'll definitely be worth your while to keep as many watchful eyes as you can spare on our new site! Cool. It looks very nice.